Heavy Equipment & Special Vehicles and Construction Materials in Korea. 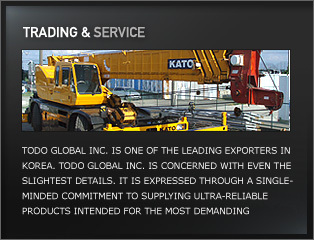 Todo Global Inc. is concerned with even the slightest details. ultra-reliable products intended for the most demanding customers worldwide.